Chemical food dyes are added to many foods to improve their color or give them a vibrant appearance. These synthetic food dyes are made from petroleum and are a complex mixture of chemicals. It’s not just sugary cereals and candies such as Lucky Charms, Trix, and Skittles that have food dyes. Artificial food colors are found in many products such as sodas, breakfast cereals, candies, processed foods, and baked goods. Many people are concerned about the potential dangers of food coloring in our food. Some studies have linked artificial food dyes to hyperactivity in children, allergies and possibly cancer. There is also concern that food dyes made from chemicals could have other potentially harmful side effects. In this article, you will learn about scientific research into the potential danger of artificial food dyes. At the end of the article, you will find out which popular products have chemical food coloring lurking in them. What are Food Dyes and What are They Made Of? Artificial food dyes used in food processing are blue, orange, green, red, and yellow. The most popular chemical-based food dyes are Red 40, Yellow 5, and Yellow 6. (3) However, popular synthetic dyes for food also include Blue 1, Blue 2, and Red 3. In order to create the right color for food, various artificial food dyes are combined to help color food and make it more attractive. According to the U.S. Food and Drug Administration (FDA), artificial food colors must be tested and certified before being used in foods and drinks. Since 1955, there has been a 5-fold increase in the number of foods that are colored by dyes. Artificial food coloring is found in snacks, baked goods, frozen desserts, pickles, salad dressing, candies, and breakfast cereals. If the production of artificial food dyes is strictly regulated, are there really dangers associated with food colors? There is much debate on the side effects of food dyes and their potential risk to your health. On the one hand, artificial food dyes used in food processing go through rigorous testing for toxicity. The FDA and other regulatory bodies say that the food colors are safe for consumption within the recommended levels. 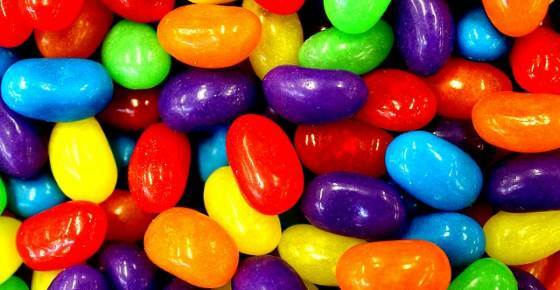 However, some research has shown that synthetic food dyes may contain cancer-causing chemicals. Some carcinogens in artificial food dyes include 4-aminobiphenyl, 4-aminoazobenzene, and benzidine. The FDA says that testing means that potentially dangerous cancer-causing chemicals in food colorings are kept to safe levels. However, what is worrying is that there has been an increase in consuming foods that contain synthetic food dyes. Since 1990, when levels of dyes were established, there had been a 50% rise in food consumption that includes artificial chemical colorings. So, there is concern that adults and children are consuming more artificial colors than before. This could mean that it is possible to consume more than the recommended amount of food dyes. The “Center for Science in the Public Interest” raises other concerns about the potential dangers of artificial food dyes. Studies on the effects of synthetic food coloring done on rats generally have not been long enough to see what the long-term consequences of consuming food colors could be. Many studies have shown the possibility of artificial food dyes being linked allergies, and attention deficit disorders. Some studies discovered that artificial food dyes could be contaminated with cancer causing chemicals. Let’s look at the link between artificial colors and these 3 conditions in more detail. One of the reasons why many people claim that food coloring is bad for you is due to a link to cancer. The scientists who conducted the study recommended that all food dyes be removed from the market as they provide no nutritional value. Red 40 is among some of the most common artificial food dyes used in food processing. Red 40 food dye has also been linked to other health concerns such as hyperactivity in children. Another food dye that contains potential cancer-causing contaminants is Yellow 6, or Sunset Yellow. Animal studies have shown that the food dye Red 3 may affect thyroid function and increase the risk of breast cancer. Brilliant Blue (also called FD&C Blue 1) can affect the stability of cell development and how the body reacts to inflammation. One of the claims why food dyes are bad for children is that they can cause hyperactivity. What does science really say about the health risks posed by food dyes on children and adults? Consuming food and beverages containing synthetic food dyes may be bad for you because they can cause allergic reactions. Should You Stop Consuming Foods with Artificial Dyes Added? Of course, some agencies play down the risk to your health that food dyes pose. However, it is good to remember that, in the past, certain food dyes that were deemed safe were later banned due to toxicology issues. In other countries, government laws require that warnings about synthetic food colorings are on the packaging. This has led many multinational companies to remove all artificial food dyes from their products. It is good to remember that artificial food dyes provide no nutritional value. They are chemicals produced from petroleum products that have been linked to hyperactivity in children and may be contaminated with cancer-causing compounds. If you want to avoid buying foods that contain artificial food dyes, which are the ones you should avoid? It is also good to remember that apart from containing potentially-harmful colorings, many breakfast cereals marketed for children are laden with sugar. You may be surprised to find out just how many artificial colorings are found in sugary sodas and beverages. The best way to avoid any of the side effects of consuming foods containing food dyes is to carefully check package labeling. Some of the most common artificial food dyes used in the food and drinks industry are Red 40, Yellow 5, Yellow 6, Blue 1, and Blue 2. You can also look for healthier alternatives that contain natural food coloring. For example, beet powder, paprika, turmeric, beta-carotene, and annatto extract are all used to give food and drink a natural vibrant color. Also, choosing whole foods rather than pre-prepared, processed food will not only help minimize your exposure to food dyes but will also be nutritiously better for you.